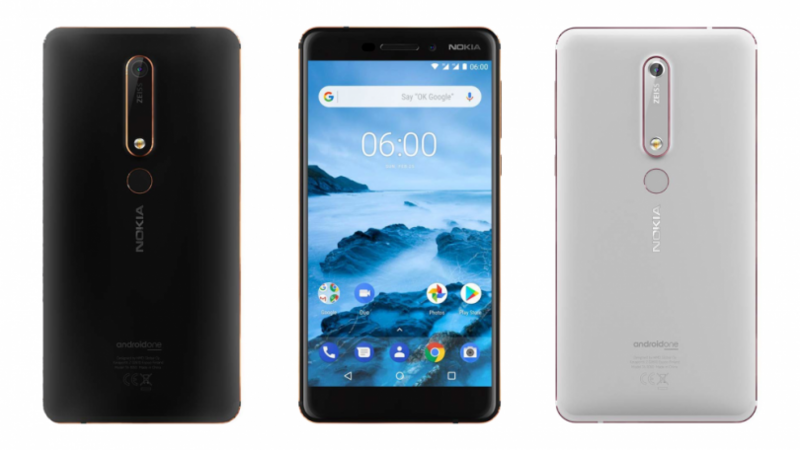 The Nokia Smartphone 8.1 was officially introduced in Dubai several hours ago, where HMD Global decided to hold its announcement. The mobile device has a 6.28-inch IPS screen with a resolution of 2220 x 1080 pixels (FHD +), an 8.2-GHz Qualcomm Snapdragon 710 eight-core processor, Adreno 616 graphics, 4GB of RAM and 64GB of flash flash drive up to 400GB microSD memory card slot, as well as a 3500mA rechargeable battery with Quick Charge 3.0 up to 18W. Otherwise, the device boasts a dual core (12MP + 13Mp) and 20MP front-facing camera, USB Type-C connectors and 3.5 mm headphone connectivity, Wi-Fi 802.11ac modules, Bluetooth 5.0 LE, A- GPS, 4G VoLTE, GLONASS and NFC to work with the Google Pay system. The dimensions of the glass case of the mobile device are 154.8 x 75.76 x 7.97 mm, while the entire apparatus weighs only 180 grams. The Nokia 8.1 has a straightforward version of the Android 9.0 Pie operating system, and the device is part of the Android One series, that is, it runs on Google’s original software. At the choice of buyers there are three colors – among black dark blue, lilac and silver. Official sales of this phone will start in the middle of December, that is, after 1 – 2 weeks, and its purchase will cost just 399 euros.